Resctructuring and optimization of the structure and coding of the site. Main purpose to rebuild the site was the fact that it was not found in the searchengines and therefor not by their customers. This due to the fact that it used iframes. After rebuilding the design entirely in CSS, and optimising the sites structure, we started implementing the content. Site is no longer maintained by us. 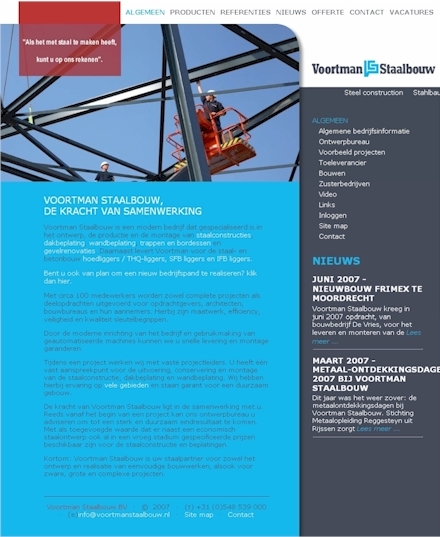 Voortman decided after we showed them how to build sites, to start their own webdesign department. Completely by us designed and build website. 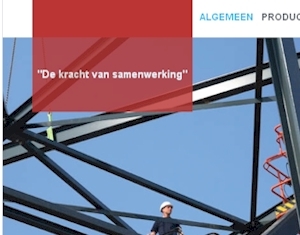 For a special new project we decided to start, this website was build. 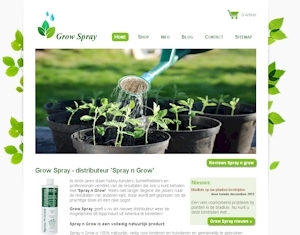 Spray N Grow is a manufacturor of plantnutricients from the USA and now has found a distributor for Europe in us Grow Spray. The design, coding and optimisation of the content is completely done by Vision2form.